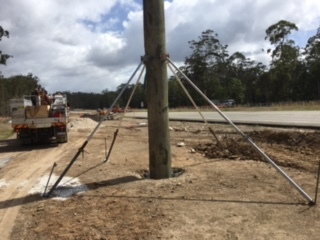 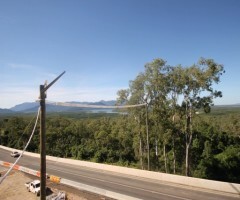 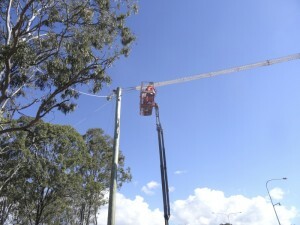 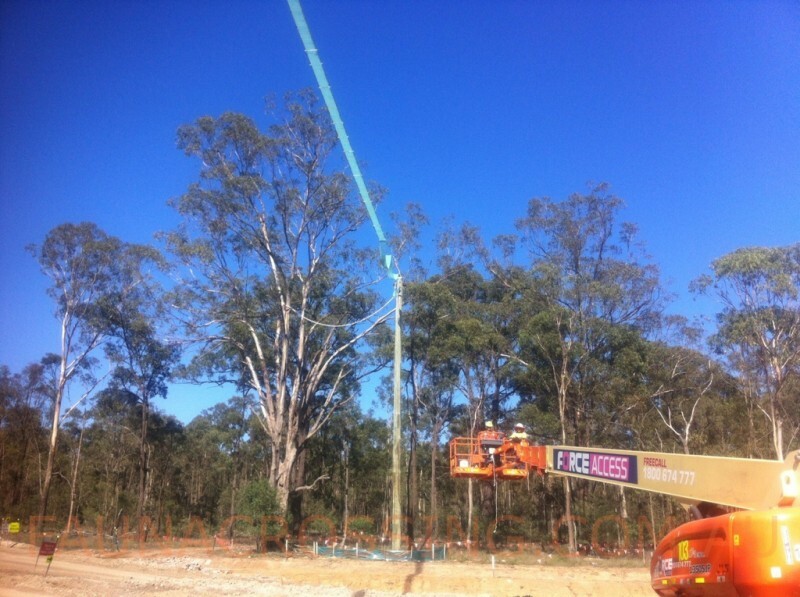 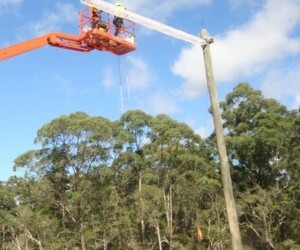 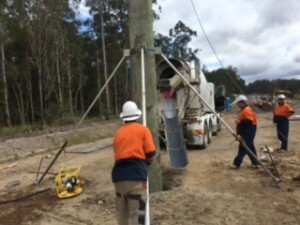 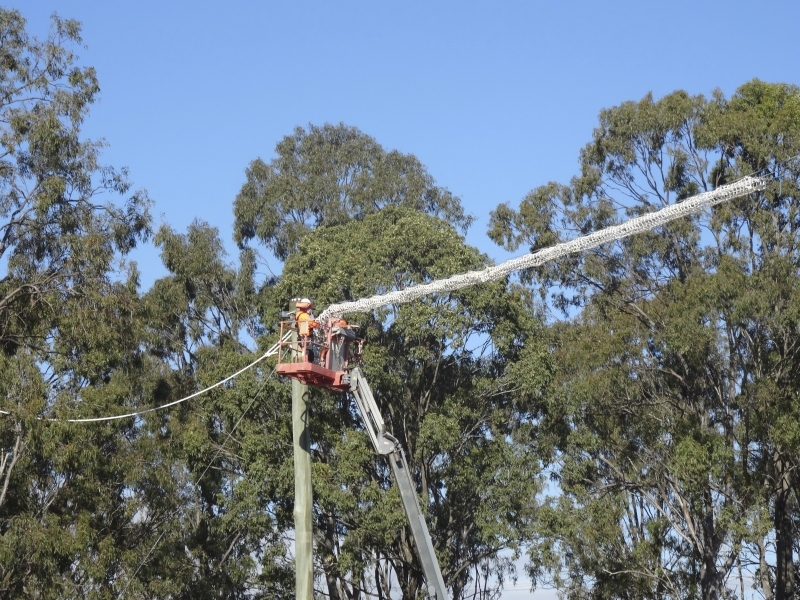 Here are some pictures of another glider pole going up today for the squirrel glider & sugar glider at the Kempsey main road bypass. 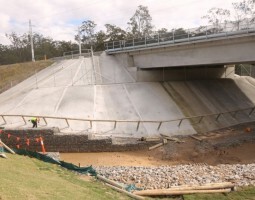 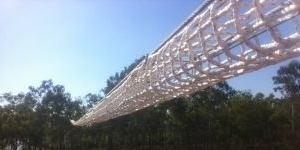 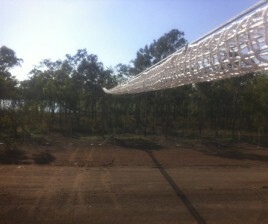 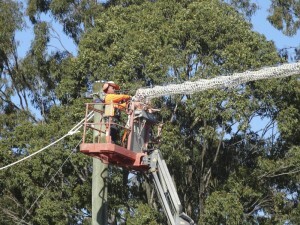 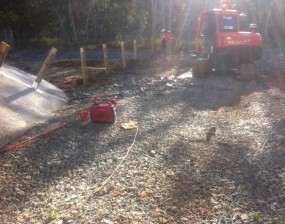 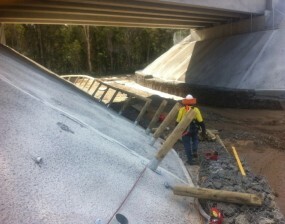 Here are some pictures of a 60 m Fauna crossing we just finished across the new upgrade from Kempsey to Kundabung in NSW. 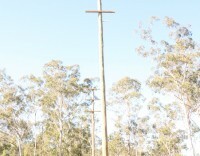 These fauna crossing are to help sugar gliders & squirrel gliders to cross the road into their habitat. 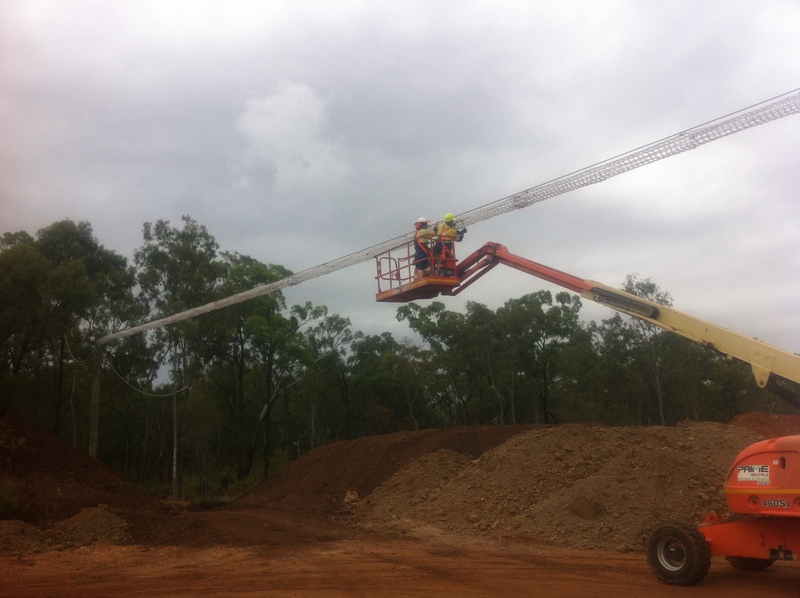 If you are looking for a great company to work for, try Fulton Hogan with Nigel Barnes as Engineer and Charlie Green as Foreman. 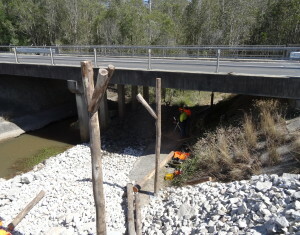 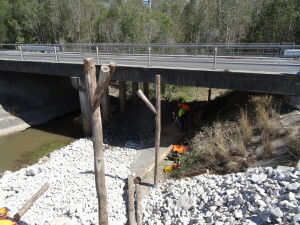 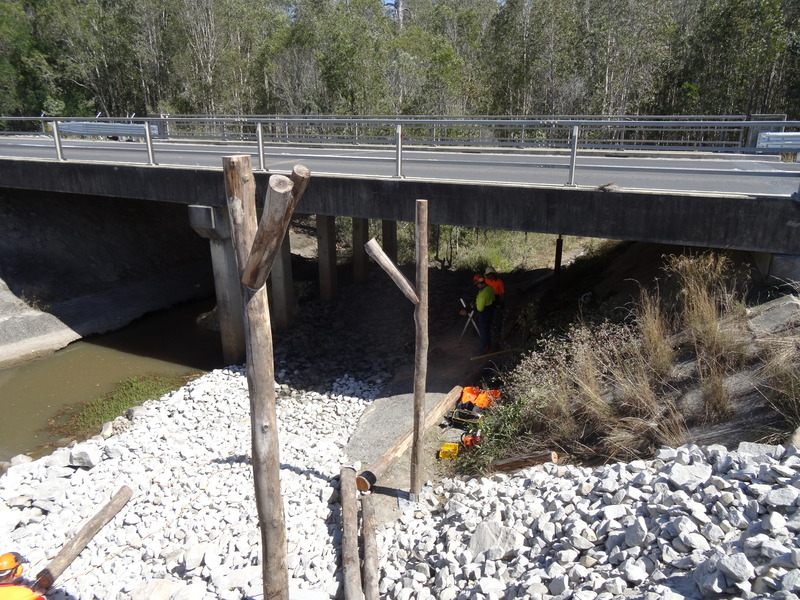 We have spent the last 3 weeks working on the 750m of fauna crossings at the Foxground and Berry Bypass. You will find Fulton Hogan to be very professional from the top down. 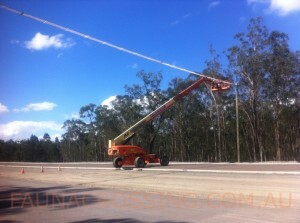 They do nothing but help you get through the job, safely, on time and on budget. 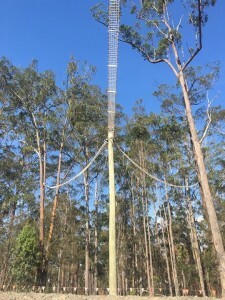 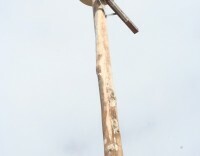 Please view a video of a possum using the rope ladder we have constructed. The Foxground and Berry Bypass is currently under construction. 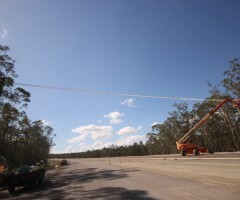 It will provide a four-lane highway (two lanes in each direction) with median separation for 12.5 kilometres of the Princes Highway between Toolijooa Road to just south of Andersons Lane. 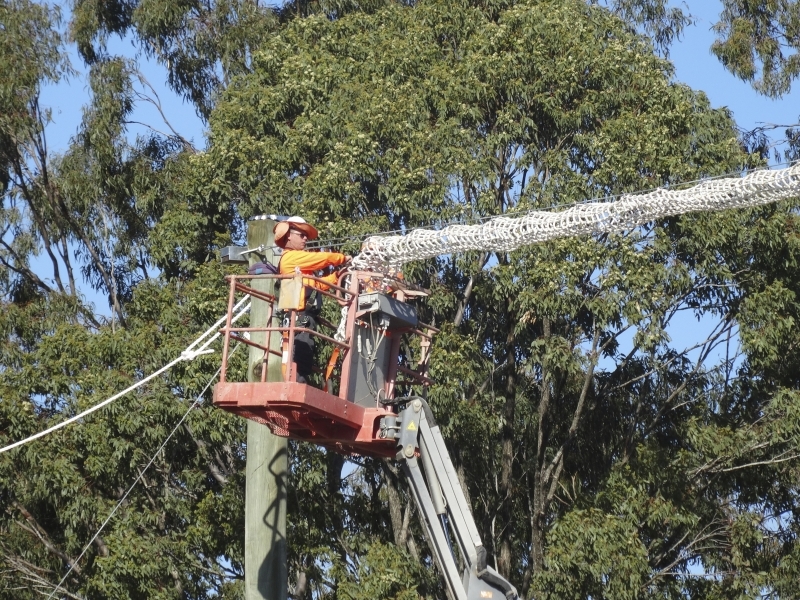 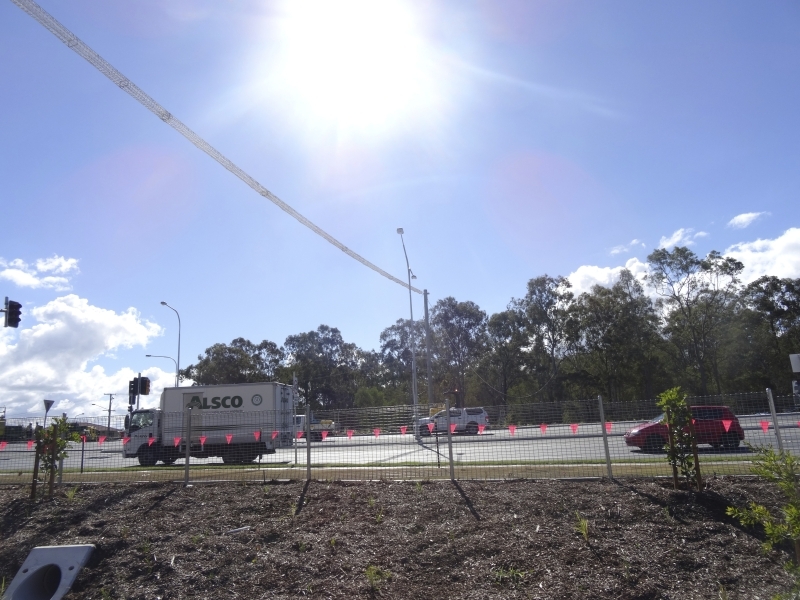 For this project (awarded to Bielby Hull Joint Venture) we supplied and erected a 60m box rope fauna crossing for the Brisbane City Council. 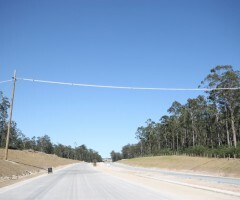 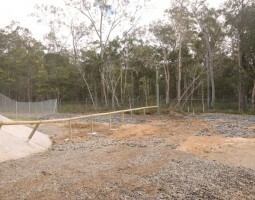 The fauna crossing was constructed for glider squirrels and this went across the full width of the carriageway for the Telegraph Road, Open Level Crossing Replacement Project at Bracken Ridge. 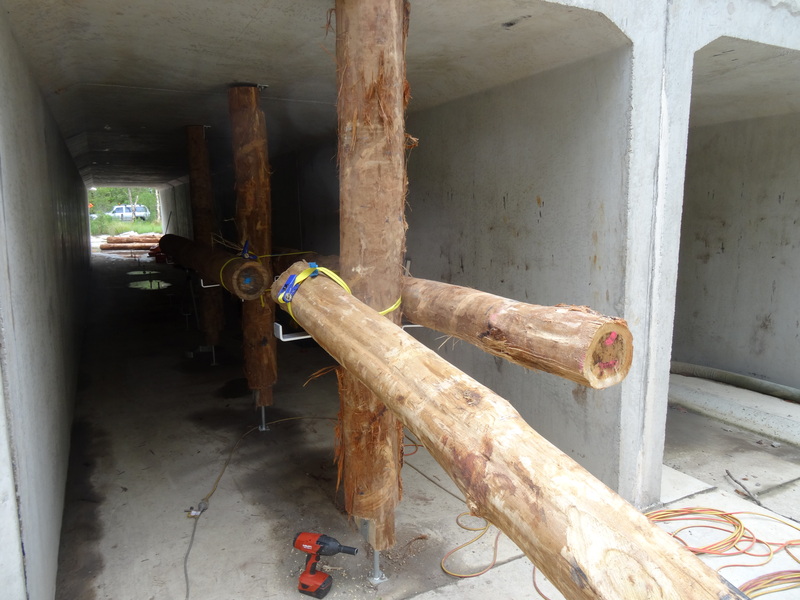 Completion of this project was Thursday 24th July, 2014. 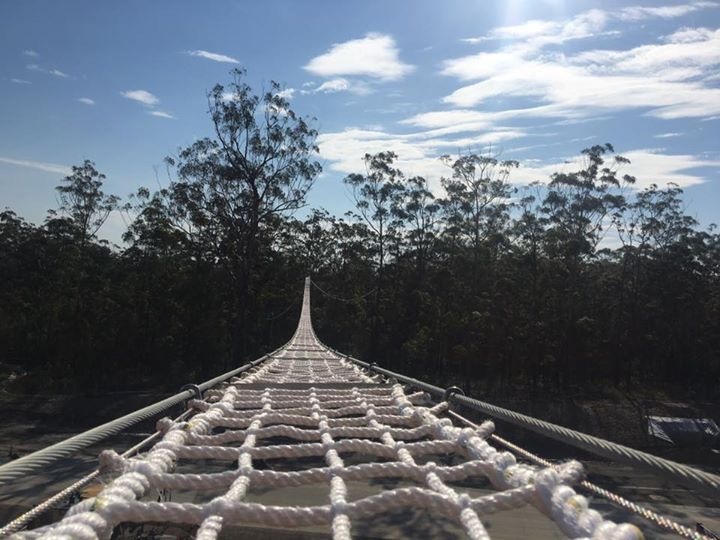 Well we have done it again….. we have just finished the biggest fauna crossing in the Southern Hemisphere. 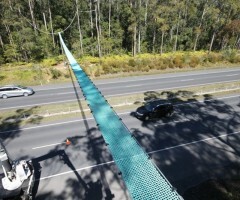 These two fauna crossings span over 80 metres long. 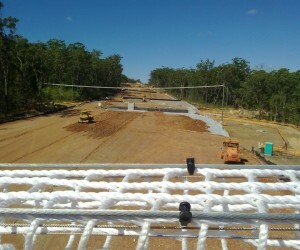 They have been designed to go across a large conveyor belt which will be delivering coal out into the Port of Gladstone. 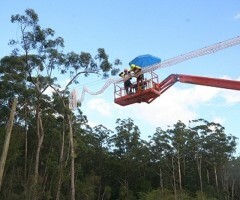 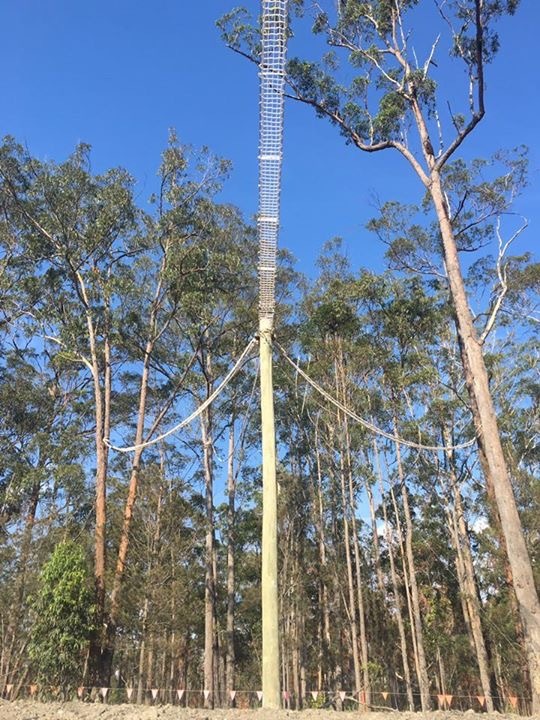 We have manufactured and installed these 2 fauna crossings for the protection of the endangered squirrel and sugar glider which are breeding in the bushland where this conveyor belt will be going through. 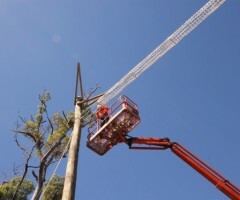 Within the first day of one of the fauna crossings being installed, we noticed that there had already been activity on the crossing by seeing glider droppings. 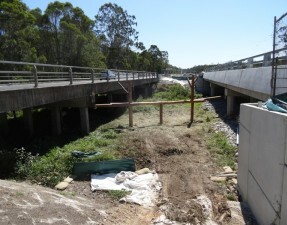 The main contractors that we were subcontracting for were CMC and Worley Parsons. 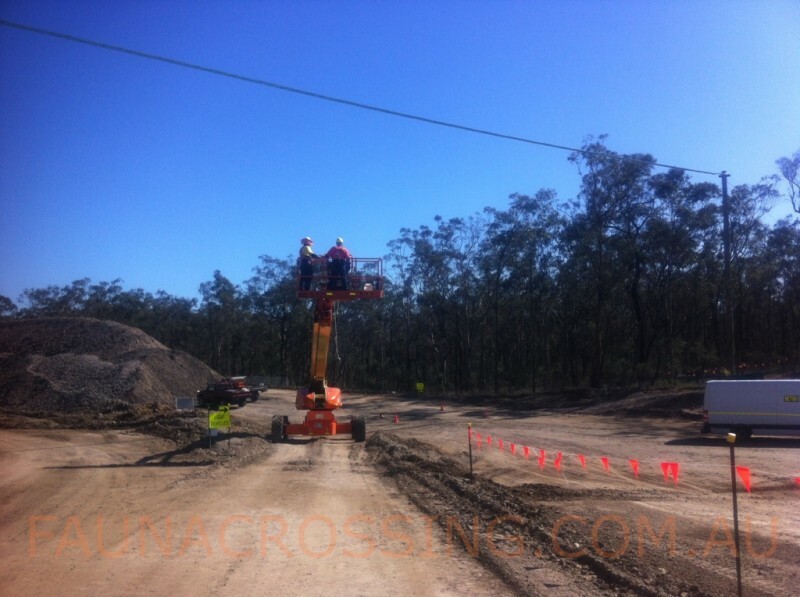 Here we are, installing another six fauna crossings. 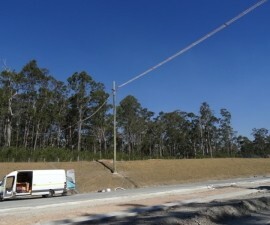 These photos show going up on the western section of the Hunter Expressway project from Kurri Kurri to Branxton. 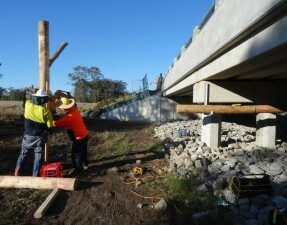 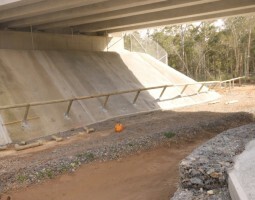 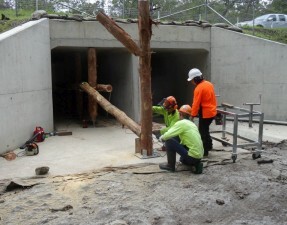 The NSW RTA and Main Roads are developing log railings to go underneath the road through concrete culverts allowing Koala Bears, possums and other mammals to get from one side of the road to the other. 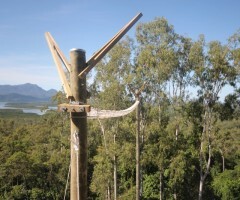 These log railings have been developed because Main Roads are building new highways through the Koala habitat. 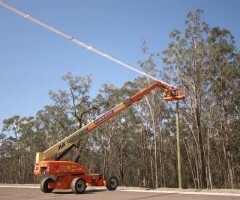 This prevents Koalas, possums and other mammals from being run over. 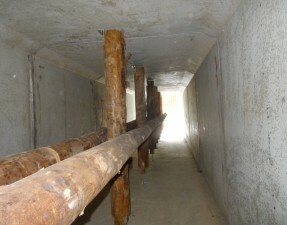 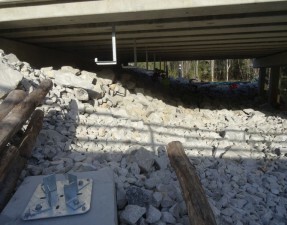 We have installed the log crossings in various culverts as well as the overhead rope bridge crossing. To view more photos go to Projects Gallery.